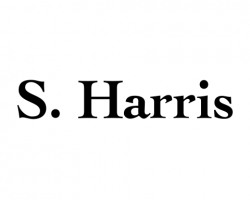 S. Harris enjoys a rich tradition that spans over a century providing fine, decorative fabrics to meet the exacting needs and tastes of interior designers, architects and specifiers. Founded in 1906 by Sol Harris and then purchased by Fabricut in 1988, S. Harris has built the reputation as the leading supplier of fine textiles and the brand designers count on for high-end contemporary, designer fabrics and innovative colors. Our longstanding, well-respected relationships with the world’s leading textile mills furnish us the ability to offer the most exclusive patterns and designs to our customers. Partnering with top contemporary designers from all segments of the design industry – fashion, art and entertainment, S. Harris delivers unique, boutique collections with distinct fabrics. Backed by the Fabricut name, our extensive line of in-stock fabrics, extraordinary customer service and a knowledgeable, worldwide sales force is unmatched.